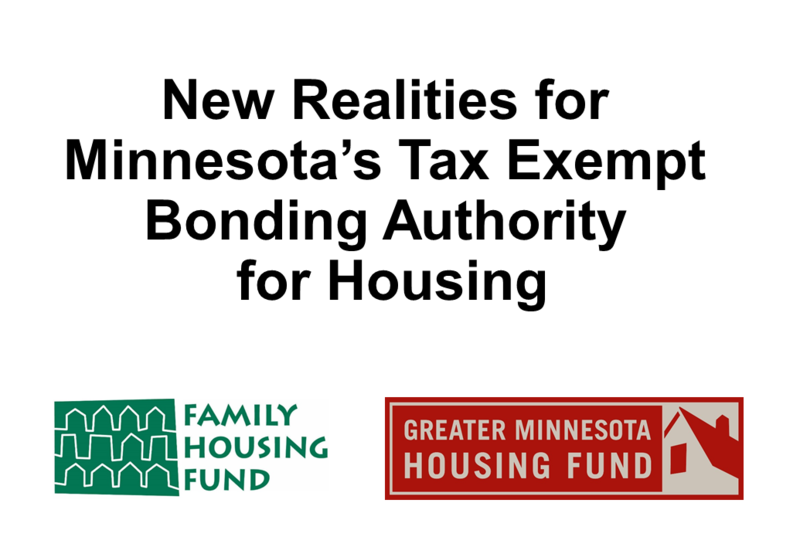 Family Housing Fund and Greater Minnesota Housing Fund hosted a forum March 2 with leaders of the affordable housing network about the new realities that impact availability of federally authorized tax-exempt bonds in Minnesota. On March 2, 2017 the Family Housing Fund and Greater Minnesota Housing Fund hosted a forum with leaders of the affordable housing network. The forum covered the new realities that impact availability of federally authorized tax-exempt bonds in Minnesota. The discussion centered on a new proposal from Housing Advocates for Vitality and Equity Now (HAVEN) and how it could affect other housing resources. This event was co-hosted by GMHF and Family Housing Fund.